I've been wanting to make some candles for the loooooongest time, I can't tell you!!! I've even been saving all my old candle jars to refill. 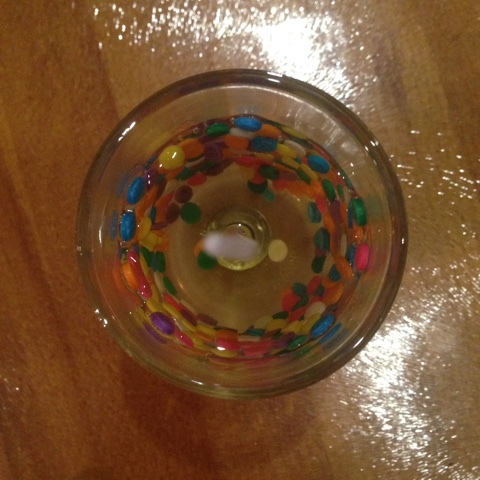 The picture below shows a candle which I loved and decided to refill. 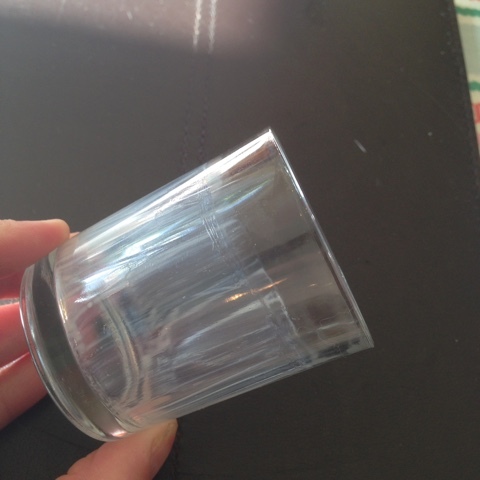 For my birthday, I received a hobbycraft voucher which I used to get some microwaveable soy wax! So, onto this weeks DIY! 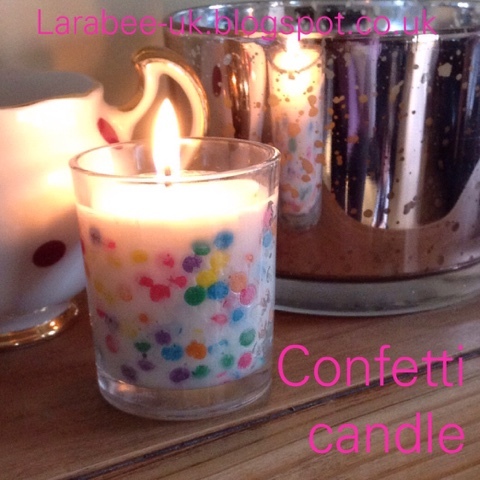 I really wanted to create a candle which smells really fruity cute, I used some sprinkles which look like multi coloured paper punches. I'll be making some more of these for Christmas gifts, sorry to mention the C-word but it is only 6 months until Christmas Eve! 1. 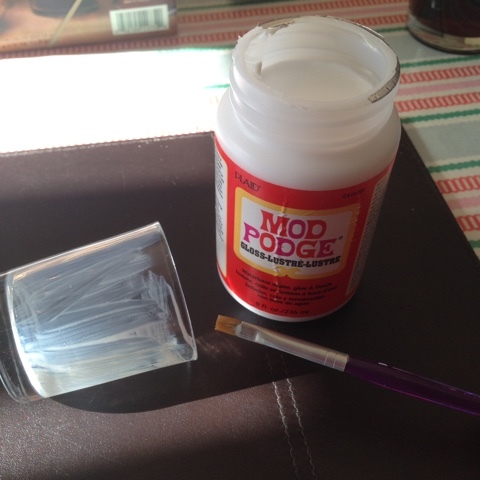 Paint the inside of your jar with mod podge. 2. Wipe around the top with a baby wipe. 3. 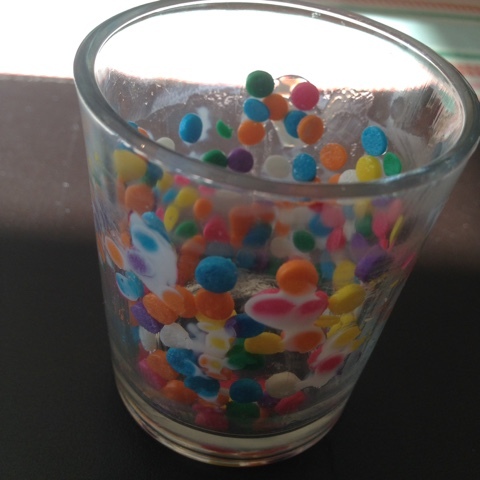 Put a few sprinkles into the jar and tip round so that the sprinkles stick to the glue, fill in any missing gaps. 4. 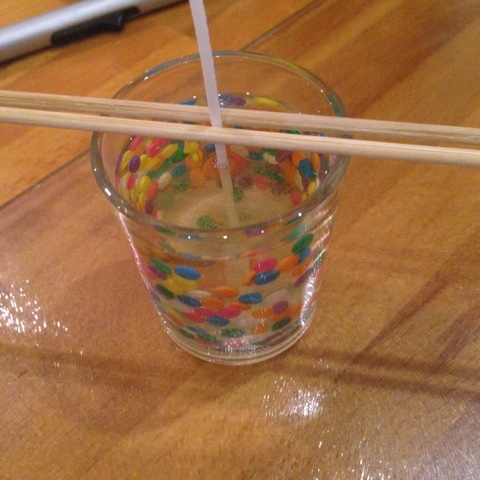 Glue the wick in place. NOTE: I'm not going to show you how to measure and melt the wax, because every wax is different, So you do need to follow the instructions for your product. 5. Once my wax was melted I added my fragrance oil, I chose cherry which smells just like cocktail cherries - yum, it's gorgeous! 6. 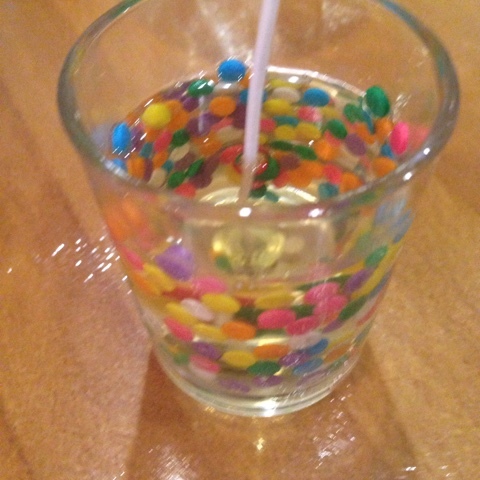 I then poured into the jar. 7. Use kebab sticks to keep the wick central. And that's it, it really is so simple, I'm loving this craft and now working on my Christmas ones! 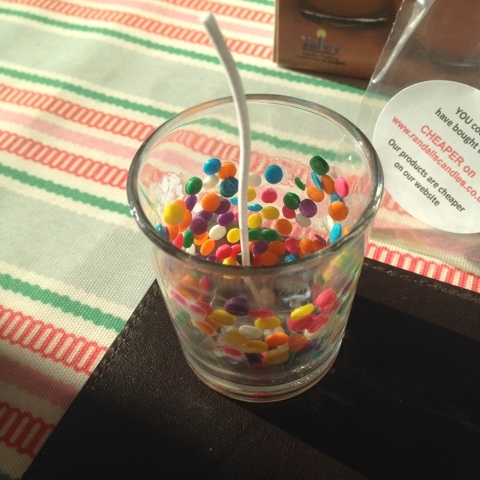 I was also fortunate enough to be sent a candle kit from Sykes Cottages so I'll be showing that soon too. 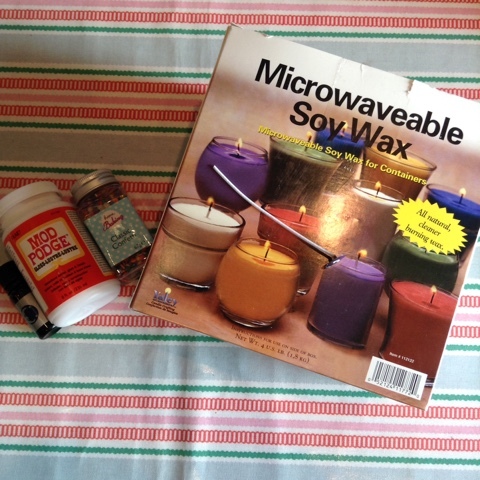 I really got many information about the wax melt and it's really very special for me.